CNBC broke the news this morning that for 2016, the Sotheby's International Realty Affiliates LLC affiliated brokers and sales professionals achieved approximately $95 billion in global sales volume, the highest annual sales volume performance in the history of the brand, driven largely by a brand record of over 127,000 transactions. 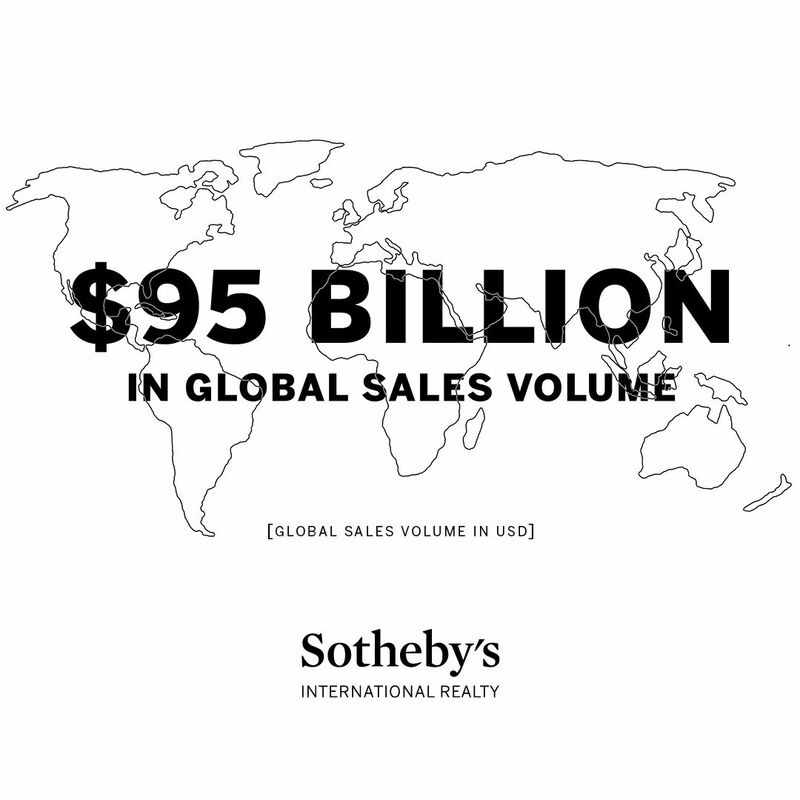 The Sotheby's International Realty brand also reported growth across its global network, which now encompasses nearly 70 countries and territories worldwide. At year-end, the network totaled 880 offices and more than 20,000 sales associates. Outside the United States, the Sotheby's International Realty brand achieved $10 billion in sales volume in 2016 and continued to expand into key markets. 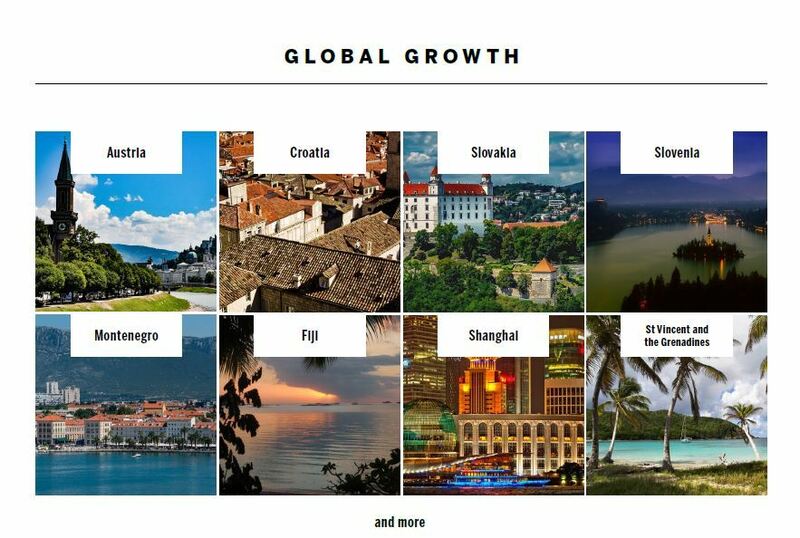 The brand saw continued growth in Europe, entering the countries of Austria, Croatia, Slovakia, Slovenia and Montenegro. The brand also expanded in the Asia-Pacific region through affiliations in Fiji and Shanghai and continued to grow in Hong Kong and greater Thailand. Finally, the brand expanded its presence in the Caribbean with the addition of affiliates in Roatan and St. Vincent & the Grenadines. In the United States, the Sotheby's International Realty brand achieved $85 billion in sales volume in 2016 and also added seven independently owned and operated residential real estate firms as well as 45 new offices to its network across the country. This past year witnessed continued significant growth by existing affiliate companies through talent attraction and mergers and acquisitions, most notably increasing the brands market presence in Lexington and Concord, Massachusetts, throughout southern Rhode Island and on the island of Kauai, Hawaii. The brand also entered several key new markets last year, namely: Gulf Shores, Alabama; Pittsburgh, Pennsylvania; and Virginia Beach, Virginia. 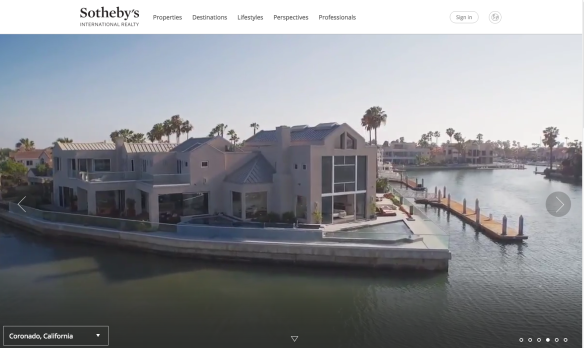 The Sotheby's International Realty brand was at the forefront of interactive technology in 2016 with the introduction of 3D Tours with Virtual Reality capability on sothebysrealty.com. Additionally, the site saw the most traffic in its history with nearly 22 million visits, a 54% increase year-over-year. The brand also launched the first luxury real estate app for Apple TV, featuring professionally curated high-resolution photography and high-definition video giving consumers the opportunity to explore homes on a screen larger than ever before. An alliance with Juwai.com was launched in 2016 that gives the Sotheby's International Realty network an edge to generate Chinese homebuyer interest on one of the worlds most prominent real estate websites with over two million monthly visitors. 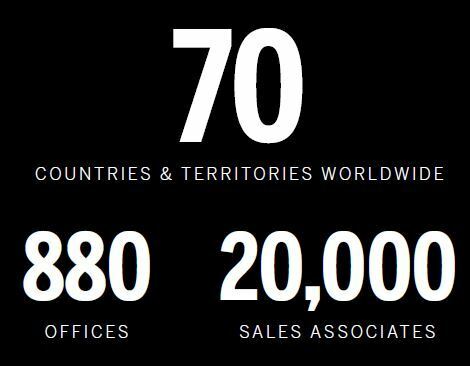 As a truly international brand, Sotheby's International Realty has the most global representation on Juwai.com, displaying luxury listings from 66 countries and territories. The Sotheby's International Realty brand was the No. 1 real estate company represented in two of the six categories that comprise the annual REAL Trends/The Wall Street Journal Top Thousand report. 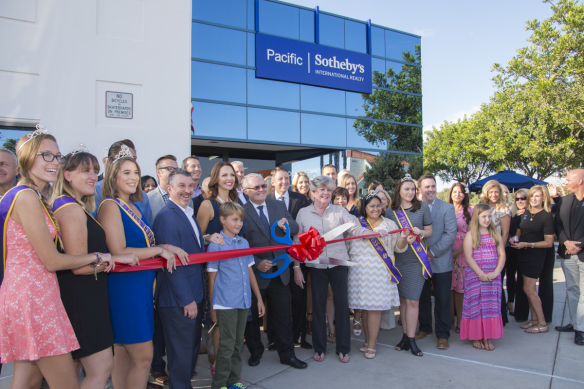 The Sotheby's International Realty brand claimed 45 of the top 250 sales associates in the Individual Sales Volume category, more than any other real estate company. The brand also had the highest combined individual sales volume from sales associates in the same category. In addition, the Sotheby's International Realty brand had the most individuals represented in the Individual Average Sales Price category, holding 17 of the top 50 spots (34%), further establishing the strength of the Sothebys International Realty brand as a leader in luxury real estate sales. Sotheby's International Realty listings are marketed on the sothebysrealty.com global website. In addition to the referral opportunities and widened exposure generated from this source, each brokerage firm and its clients benefit from an association with the Sotheby's auction house and worldwide Sotheby's International Realty marketing programs. Each office is independently owned and operated.